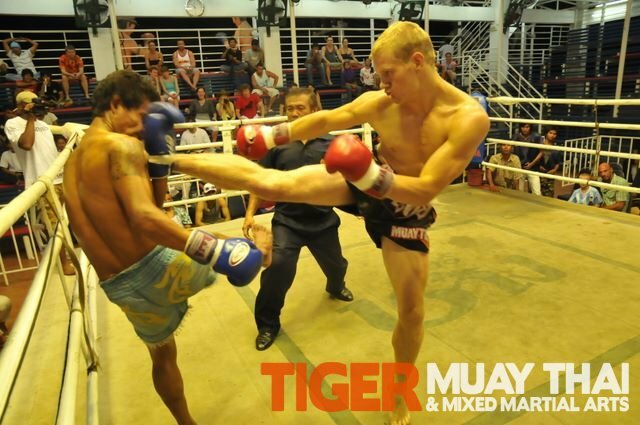 Tiger Muay Thai and MMA training camp, Phuket, Thailand fighters go 3-1 over two nights of fights in Patong on April 27-28, 2010 scoring 2 KO’s and a points win. Kane from Scotland started the night off with a nice first round KO after training hard for the last month in preparation for his fight and Steve followed suit on the 28th with another KO. 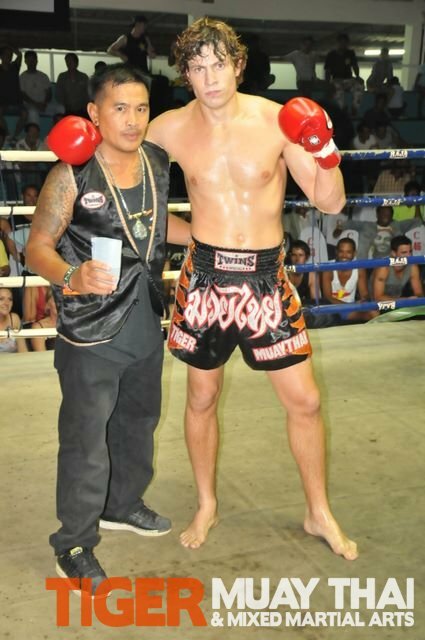 Phalangphet won his fight on points, while returning to the ring after term break from school, female Muay Thai fighter Nongkay lost on points and will fight again before returning to school.